When Lisa goes vegetarian in The Simpsons, her dad keeps asking her what she won’t eat. It really is a wonderful magical animal, but what is even more wonderful and magical is how we can transform pork belly into bacon. Actually there’s nothing magical about it, it’s just science! 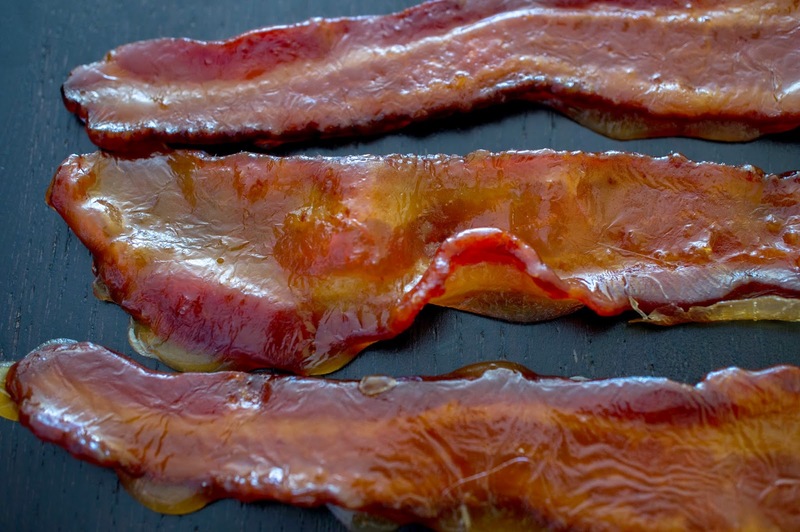 Bacon is just salt-cured pork belly. Leave pork belly in a salt rub for a week, then slow roast or smoke to an internal temperature of 150F and you’ve got bacon. But what is happening to the meat during this time? How can salt and time transform? The first thing a high concentration of salt does is cause water to come out of cells. This helps kill harmful bacteria, concentrates the meat’s flavours and makes the finished cured meat drier. A high concentration of salt also causes the denaturing (unravelling) of protein just like heat, giving the bacon a firmer texture similar to cooked meat. The other component of salt-curing is time. Time allows enzymes (which are just proteins that catalyze or facilitate reactions) to break down other molecules and create flavour compounds such as glutamate. Time also allows salt resistant, useful bacteria to feed off any sugars and begin a slow fermentation process that creates further flavour. Technically bacon can be made using only table salt (sodium chloride or NaCl) but most people will add a small amount of curing (pink) salt that contains sodium nitrite. Sodium nitrite is particularly efficient at inhibiting growth of Clostridium botulinum bacteria, those responsible for botulism. It also keeps the meat from oxidizing and turning brown by complexing with the iron in the myoglobin protein found in muscle. Lastly, different flavour compounds are created through sodium nitrite than sodium chloride, giving meats cured with nitrite a characteristic taste. 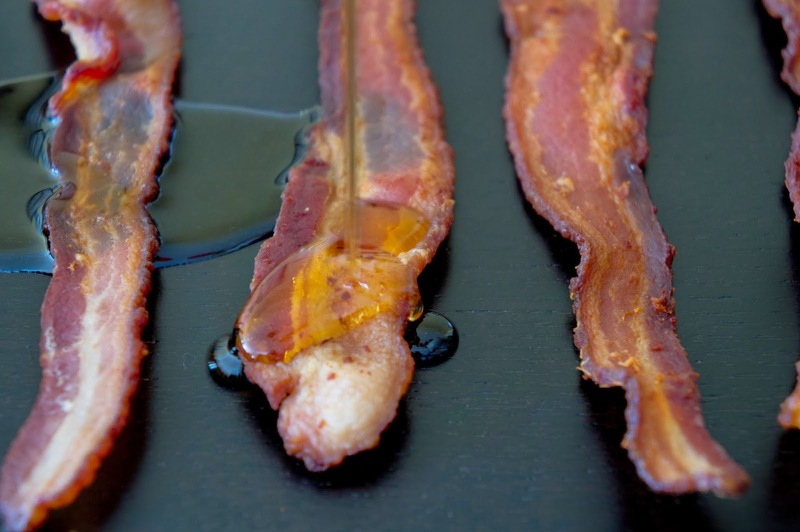 Whether you made the bacon yourself or not, we can make it even more delicious in 5 minutes by adding maple syrup and cooking off the water until the syrup becomes a thin candy shell around the bacon. Candied bacon man! Break some pieces onto vanilla ice cream or use it to garnish your Caesar cocktail. We’ve taken bacon over the top! Fry bacon until crisp and remove from pan. Drain and wipe the fat from the pan. 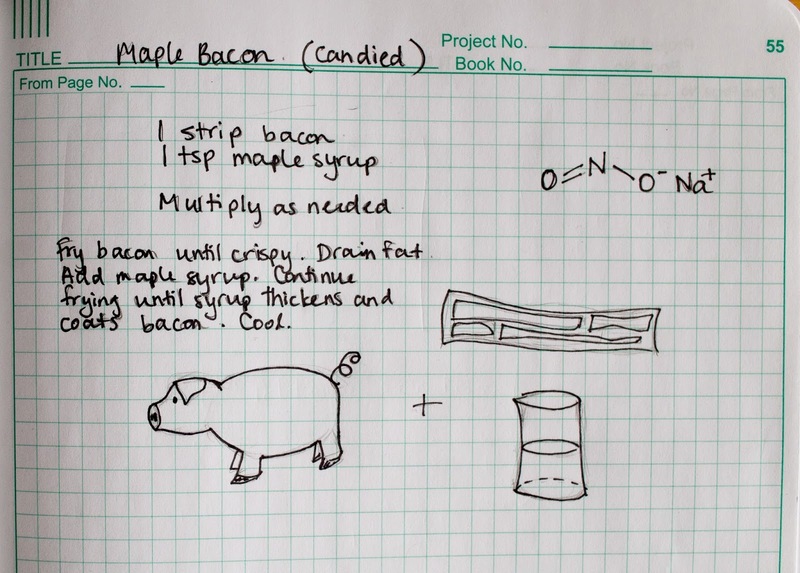 Return the bacon to the pan and add the maple syrup. Continue cooking the bacon until the maple syrup thickens and coats it. 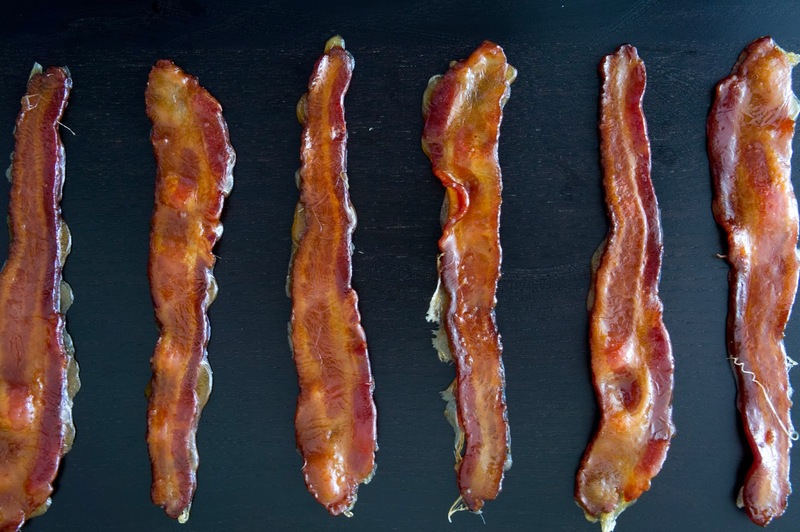 Remove bacon from pan onto a plate or some parchment paper to cool.